Lieutenant Colonel Dionne Smalling has served in the Jamaica Defence Force (JDF) since 1993. After completing recruit training in Newcastle, St Andrew, she received her initial officer training at the Royal Air Force College in Lincolnshire, United Kingdom. She has served in administrative capacities in the Engineer Regiment and the Support and Services Battalion of the Jamaica Defence Force, and was employed as a Staff Officer with responsibility for various aspects of Information Systems for more than a decade of her career. 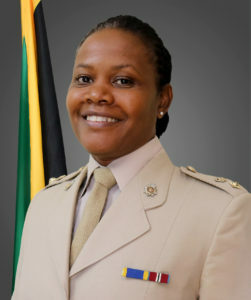 She has also served as Directing Staff and Standards Officer for the Caribbean Junior Command and Staff College. She gained command experience as the Officer Commanding of the Administrative Company in the Support and Services Battalion, and more recently as the Second in Command of that Battalion. She is currently employed as the Staff Officer with responsibility for Finance and Logistics in Headquarters JDF, and is also the Officer in Charge of Women’s Affairs for the JDF. Lieutenant Colonel Smalling has a Master of Military Arts and Science Degree in History and Strategy from the United States Army Command and General Staff College in Fort Leavenworth, Kansas. She also holds a Master of Science Degree in National Security and Strategic Studies and a Bachelor of Science Degree in Computer Science from the University of the West Indies, Mona Campus. Over the course of her career she has completed several professional development courses, including the Intermediate Level Education at the Command and General Staff School at Fort Leavenworth, and a Diploma in Information Systems Management from US Army Signal Centre in Fort Gordon, Georgia. Lieutenant Colonel Smalling is married with two children. She enjoys reading, writing, and running. Lieutenant Colonel Dionne Smalling has served in the Jamaica Defence Force (JDF) since 1993. After completing recruit training in Newcastle, St Andrew, she received her initial officer training at the Royal Air Force College in Lincolnshire, United Kingdom. She has served in various administrative and command capacities in several units of the Force, including more than a decade in Information Systems. 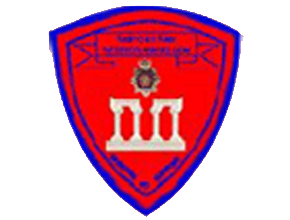 She has also served as a member of the Directing Staff and the Standards Officer for the Caribbean Junior Command and Staff College. She is currently employed as the Staff Officer with responsibility for Finance and Logistics in Headquarters JDF, and is the Officer in Charge of Women’s Affairs for the Force.